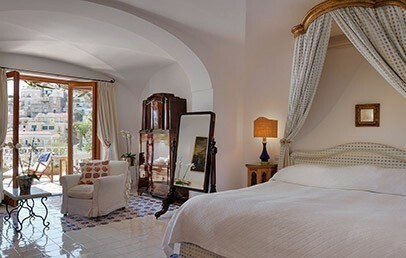 The Hotel Le Sirenuse is located in the hearth of Positano, on the Sorrentine Peninsula, and it is bordered on the north by the gulf of Naples and the Amalfi coast. 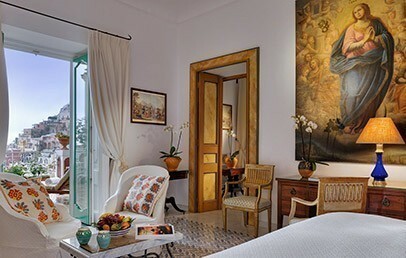 Thanks to its location, Hotel Le Sirenuse is the ideal starting point to discover the worldwide known artworks, the natural wonders and the traditions of Campania. Naples aiport is about 60 km far from the hotel. 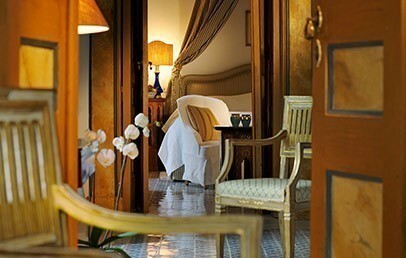 The Hotel Le Sirenuse is a 5 star hotel which was established in 1951 by the Sersale brothers. 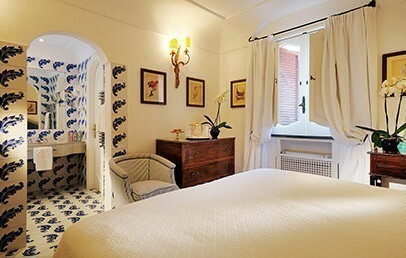 The key to the success of this charming hotel is to be found in the attention to details as well as in the beauty of the romantic furniture. Entrance to the beach is free. The beach can be accessed by stairs in a few minutes. 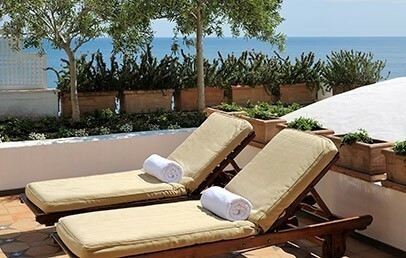 The swimming pool, located on the hotel terrace, is the ideal place for guests not only to swim but also to enjoy a moment of relax and calm, on the deckchairs and under the beach umbrellas. 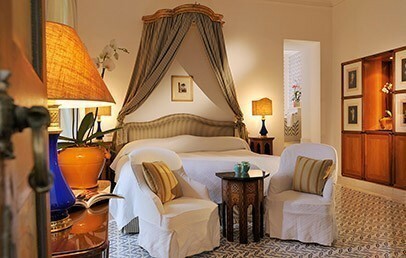 The Boutique as well as the Wellness & Fitness centre (services can be purchased on spot) can be booked by the guests. 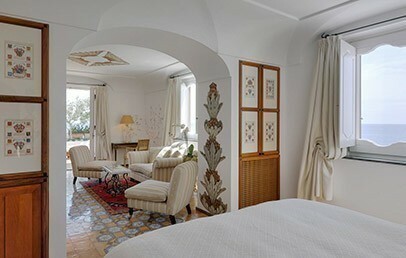 The Hotel Le Sirenuse has 63 elegant rooms and suites, all of them have a modern style furniture that guarantees the maximum comfort. 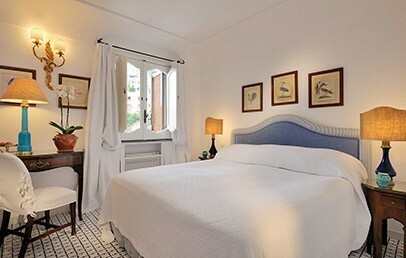 All rooms are equipped with whirlpool bath tub, air conditioning, satellite - TV, CD-/DVD reader, safe, Minibar, IPod and Internet. 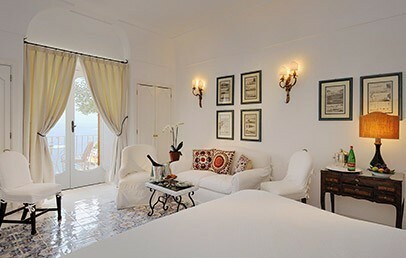 Le Junior Suites and the Suites are equipped with a balcony and have an amazing sea view. 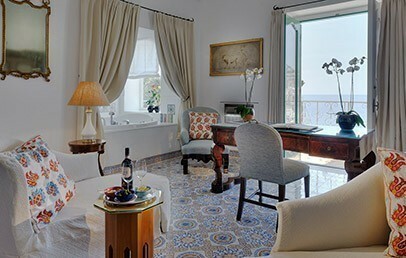 Standard rooms can be booked with full or limited sea view (the latter applies only to standard rooms located on the floor with swimming pool). 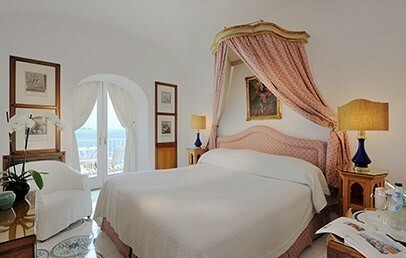 In addition to this, the Junior Suite Special is equipped with a Jacuzzi with sea view. 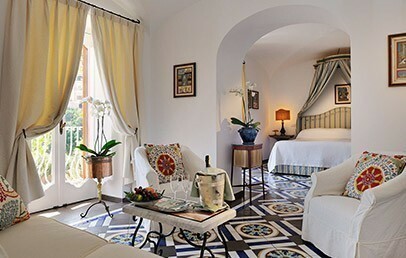 All Suites have a living room and 1-2 bedrooms. La Sponda restaurant is run by the 2 Michelin stars chef Alfonso Iaccarino and offers exquisite recipes of the Campanian regional tradition. 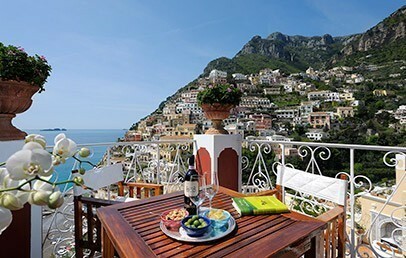 At the bar Champagne e Oyster you will taste the exquisite sea fruits on a wonderful terrace with sea view.